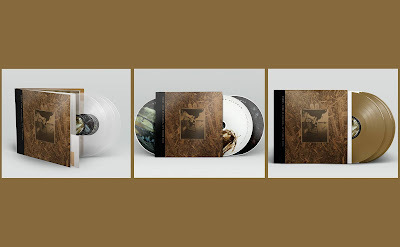 Pixies are releasing a 30th anniversary set collecting their debut EP Come On Pilgrim and debut full length album Surfer Rosa. The set is titled Come On Pilgrim...It's Surfer Rosa and features new artwork by Vaughan Oliver, includes both seminal records, and adds a live album Live From The Fallout Shelter. The concert was captured in 1986 in Lowell, MA, and is considered one of the earliest recordings of Pixies raw and intense live shows. Come On Pilgrim...It's Surfer Rosa will be released September 28th as a 3CD set and standard triple vinyl set pressed on gold vinyl (comes with download code). A limited edition triple vinyl version pressed on clear vinyl is also available to pre-order. The limited edition boxset includes a clothbound hardbook, lyric booklet, and art book. Release date for the lim/ed set is TBA. Check out the trailer and tracklisting below. View the pre-order options here. 07 B1 Where Is My Mind? 10 B4 Oh My Golly!